Meet Alice (if you haven’t already done so). Alice was born at the end of March 2007. Alice had an uneventful birth and early life. She was born at 39 weeks by elective caesarian, she had APGARs of 9 and 10 with no jaundice or any other problems. She had an OAE (otoacoustic emission) test shortly thereafter which proved normal. As Alice passed the year mark, it became apparent to us that Alice was not developing any speech and seemed to intermittently respond to sounds and prompts. After 2 or 3 months arguing with health professionals that she wasn’t just ‘ slower than her brother’ we were finally referred for hearing tests in July 2008. In the behavioural tests Alice provided inconsisitent results and was then referred for further OAE and ABR (auditory brainstem response) tests. Alice’s OAE was, again, normal but she had an absent ABR up to 90db. She was then referred to the Audiology department at St. George’s Hospital in London. In between times, we chose to seek the advice of one of St. George’s Consultant ENT Surgeons who runs their Cochlear Implant programme, Mr. David Selvadurai, who diagnosed Alice with Auditory Neuropathy Spectrum Disorder (ANSD). For her 2nd birthday, Alice received a cochlear implant on her right ear and shortly after her 4th birthday was implanted on the left side. Since switch on we have been working with her every day to improve her access to speech and language. 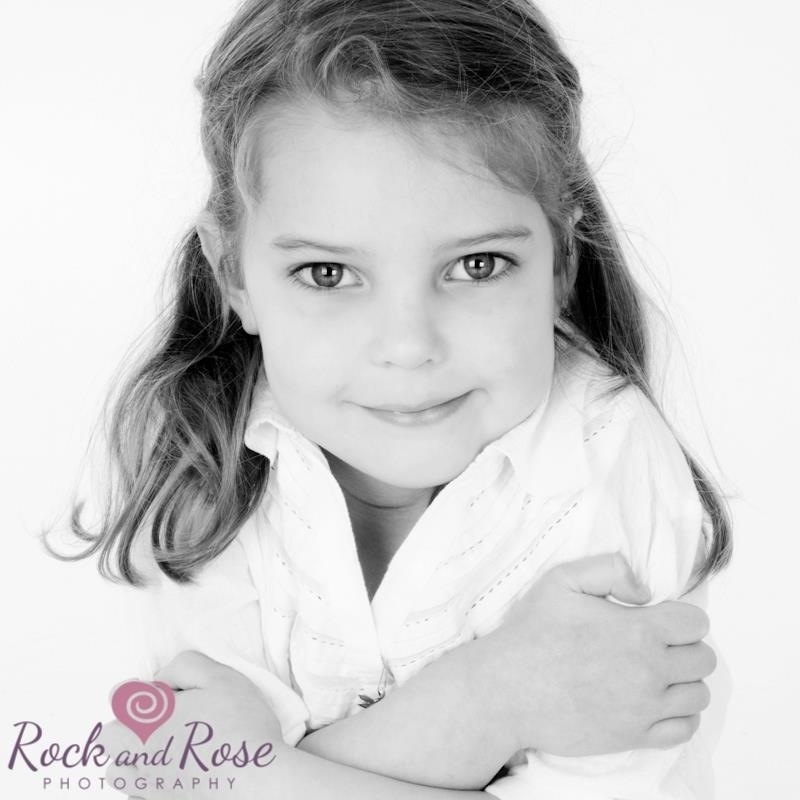 Alice is a bright little girl and now communicates wonderfully with her peer group through speech . Alice graduated from Auditory Verbal UK in Oxford and is currently flying-high in Year 1 at Notre Dame School in Cobham. Alice is now beyond age appropriate in her language. Oliver was born in April 2012; our third beautiful child. Owing to Alice’s hearing disability, we knew to be careful third-time-round and the morning after his birth, Oliver had both an OAE and ABR test. Our worst nightmares were realised as we were told that Oliver too had inherited ANSD. Guilt doesn’t even begin to describe our emotions. Oliver is now one and has been bilaterally implanted (just after his first birthday) and, like Alice, will grace the corridors of Auditory Verbal UK. We can only hope for a similar outcome and, with his age advantage, we are confident he will do well. I have enjoyed reading about Alice! Thank you for sharing your story. I am an audiology student at Utah State University, USA. I am giving a presentation about auditory neuropathy to my fellow classmates. I was so impressed with your blog that I decided to add Alice’s story to my presentation. I thought you might like to know, that in another part of the world, a small group of people will be hearing about Alice’s story. Thank you so much for your kind note – your post has reminded us that it has been a very long time (far too long) since we last updated the blog. Greetings as well to your colleagues from USU – I hope the blog gives an insight into living with ANSD and a CI. Thank you for taking the time to put together this website. My daughter was just diagnosed last week with AN. It happened just before she received her cochlear implant. I am trying to find out as much information about this as possible. As you have said most of the information is for scholars. It has been a bit difficult to get my head wrapped around all of this. I look forward to reading all of your site. Thank you so much for your kind words – it seems our site has developed a momentum and reputation of its own. We really ought to update it more often, but if there is any help or info we can offer, do just drop us a line. I love your website! I have recently set one up for my little boy Calum. Calum is profoundly deaf due to CMV (cytomegalovirus). From information I have read 30% of childhood deafness is caused by CMV but noone has heard of it. I am working with the CMV support group to raise awareness and to offer support to families. We also attend AVUK and have found them to be invaluable. I would love to speak with you. If you could contact me at: info@calum-reece.co.uk it would be much appreciated. Gaye, I have emailed you. I saw your email thankyou very much, I’ve been so busy I’ve not had chance to call you back. Had appointments with Calum all week – I’m sure you know how it is! I’ve seen on the website that Alice has her operation for her second implant today. I hope it goes really well and I’ll speak with you in a week or so. Wow Alice bless her!! I’ve come across your website as we too have a late developer, third child which you wish to call her we prefer Myla muffin!! Lol who is two on Friday. Myla was born at 39 weeks by elcs also with great apgars but had minimal startling however passed oae we got to 11 mths and still no babbling, Myla was then referred for a vra and failed then re-tested oae and passed that was it. In march I pushed again as mam ma hasn’t left her lips yet!! However she does dance to music anyway appointment was end of June myla went onto to fail two more vra’s at 60 dcb we had abr yesterday which passed!?!?! Myself and my husband are so confused and Myla bless still has no form of communication other than sign which I’m teaching and let’s say it’s a battle of wills on most days. Sorry to give life story but you know how it is you just want to gather as much research as possible to help your little ones. Have you come across this with anyone you have met? Would just like you to know as a mother of a 7 month old baby boy – Finn, I have found Alice’s Blog an invaluable reading experience. Like Alex, Finn is diagnosed as having ANSD. At birth he by chance failed to pass the OAE screening and was sent to Audiology for testing. Since he has passed every OAE and so far he has had 3 ABRS to all of which he has had no measurable response and has been tested up to 90db. We were actually at Audiology today and met Finns consultant for the first time. His name is Dr Banerjee at James Cook. The next step to us is to trial hearing aids, he gets them fitted early September so it is so encouraging to hear of Alices improvement with CI’s. If possible I would love to know if Alice had any benefit from Hearing Aids? Thank you so much for your note. Alice had to wear aids as part of the assessment process for both her implants. She wore two before her first implant and one (obviously) before her second. They gave her no benefit at all – they just amplified the fuzz she was hearing which she found quite distressing the first time round (to the point that she wouldn’t wear them at all) and it became distracting the second time round (it actually made her hearing worse). There is evidence that children with ANSD perform as well as children with other forms of hearing loss, so you never know. That said, Alice’s progress with her CIs has been fantastic – you really wouldn’t know these days. Its reall encouraging to hear of Alice’s improvement! I really hope Finn is put forward for CI’s as we are seeing no improvement at the moment with his aids. Have Alice’s doctors managed to pinpoint where throughout the hearing structure the problem was? I know this is relatively hard to determine in most cases, but I know in a slight few it is possible. Like you say, it’s very tricky. The best guess they had with Alice, owing to the wild fluctuations in her hearing and apparent decrease in her hearing throughout the course of the day, is that there was a problem with the neurotransmitter at the synaptic junction with the auditory nerve. This depletion of the neurotransmitter would account for her hearing tailing off. This was only a guess though. Either way, the CI’s bypass this junction and, so far at least, we haven’t seen any problems with Alice’s hearing fluctuating. I am a mother of a child initally diagnosed with ansd. He’s 1 yr old now and upon the MRI scan, it appears he does not have a hearing nerve (even though he responded with hearing aids by turning to sounds above 70 decibals) . From your experience, can you pls send me Dr Berlin’s contacts or the contacts of key specialist that could help us – either with second opinions or has had success with CI even with cochlear nerve deficiency? We are based in Singapore where there are very limited access to signing. Charles (Chuck) can be contacted here http://experts.martindale.com/Charles-I-%28Chuck%29-Berlin-PhD/975672800010012-Expert.html . He is usually very good at coming back to you. I would like to know how has it been for you and your child in Singapore. How is the support there and it would be great if you could share your experiences. I am living overseas right now and my daughter has been diagnosed with hearing loss. We are looking for information before we move back home. We are currently overseas too – we don’t think the resources in Singapore are adequate for us at this point as our son needs more intensive therapy. In Singapore, we could only get once a week one hour auditory verbal therapy services and there was not much early intervention services. It also depends on the kind of hearing loss and age of your daughter. There are children using hearing aid and cochlear implants that are doing well and mainstreamed in Singapore schools – so it depends on how well they pick up on their hearing with their devices but generally the special ed/therapy services are less than what you can find elsewhere for deaf/hard of hearing children in our view. Thank you for your speedy response. It appears the email for Dr Berlin does not work anymore. I have however contacted Dr Mcmahon. You are right indeed that Australia would be a good place to tap resources. All the best to Alice and your family. You have been truly inspirational. Do let me know when you hear of other similar cases where CI or ABI was adopted. My little boy is called Rhys, and we had the fortunate opportunity of meeting Alice and her mummy at Legoland a few months back (totally by chance). I would like to say a big thank you for introducing us to AVUK – I am so grateful for this recommendation. Glad to hear Alice is doing well, Rhys is still on his CI assesment and we are hoping the future is bright for him. We are a couple from Denmark and or youngest son – Aaron – was just recently (3 months ago) diag-nosed with Auditory Neuropathy Spectrum Disorder. Needless to say we were crushed by the news – as Aaron has already been through so much that we figured he already had been given his fair share of struggles in his young life. I would just like to thank you so much for this site!!! – It really does allow us to regain hope for our son. When we received the news, I think we – much like other parents – had a million questions – but most and foremost we would really just like to hear: ”don’t worry – he will be able to hear and develop speech”. As you know it is just not that simple. In the search for answers we stumbled upon your site – and thank God for that – reading about Alice just makes us think that it will work out in the end, but the ride will be bumpy. The problem with becoming involved in the ”medical system” in Denmark is that no one can really give you precise answers and you are left with questions and having to make judgments based on just that! Aaron is turning 2 years old March 28th next year and is going for his second hearing/brain test in January to see if his condition has improved in any way. If not we are going forward with hearings aids and ultimately a CI-operation. I understand Alice got her first CI at this age and her second when she turned 4 years old. What did you do in terms of trying to cope with her at home? Did you start her of with sign/cued language? Problem here is that everything has to be processed through the system and takes time and so getting help to sign/cued language will probably take some time yet. We experience that Aaron is very intelligent but so frustrated – and we are thinking that months in this period of his life are crucial not to miss – in terms of teaching – but what did you do? When Alice got her diagnose did you then put her in a ”special child care” together with a blend of impaired children and ”normal” children where cued language was taught to all? Now Aaron is attending “normal” child care but is experiencing children rejecting him – because he has difficulties playing with them and because he cannot communicate he chooses to bite a lot. So he is going through a lot of personal defeats which we are not sure is the best for him – but on the other hand we don’t want to make him more disabled than he is. Sorry for the questions, but we are trying to make the right decisions and we are a lot of years behind your progress with Alice today – but really hope to see our son come through like Alice. Fortunately – all say – he has a will like a lion and is highly intelligent – which we also suspect being the reason for his constant frustration. He has an older brother (Levi – almost 4 years old) to look up to – and he just wants to do whatever he does – and God have mercy if you try to help him – then you will shatter his whole world. In his first year – doctors threw a mild autism or even ADHD at us, even though that is naturally all too early to diagnose – but we did recognize some of the symptoms. Now after his diagnose we have been told that it is very common that you see signs that may look like ADHD/mild autism with children with Auditory Neuropathy Spectrum Disorder due to their high level of frustration with background noise and not being able to communicate properly. Did you have any of these issues with Alice? We have read a lot about all this – and we understand that the medical profession is divided in the question about whether or not CI will help children with ANSD – some children do very well and other do not – and once you walk down the CI lane you cannot go back in terms of hoping for your child to develop a natural hearing. But in Denmark – the condition is only diagnosed 5-10 times a year among all born children and so it is really hard to get in contact with other parents going through this or getting good answers – it seems like you are a bit ahead in the UK. Have you maybe heard of an international network for parents having children with this condition? Again sorry for the many questions – and thank you so much for sharing this site with us! Thank you for your note – I find it hard to believe sometimes how Alice’s story has touched so many people around the world. I am still on Christmas holidays with no proper Internet access, so will send you a proper note when I am back at my desk next week if that’s ok? Thx. for your swift reply. Of course it is ok with a proper note later on – I am just grateful for your time. Hope you and your family had a nice christmas and happy new year. I just wanted to say that you are not alone in the confusing world of ANSD and which communication route to go down. Since my last note we have continued to sign with Myla and this has really helped her frustrations as she is now 2yr 5mths and has no single words but will sign and is really going through a leap with it at the moment and wanting to copy every sign you do which is just amazing! We self taught through Cath Smith apps, LSL DVDs and books. Myla is still going through diagnosis but is now under the umbrella of ANSD as her hearing fluctuates and has no acoustic reflexes and her abr hasn’t been repeated yet. We get a lot of support from the elizabeth foundation which I would recommend you look at there website or contact them as they do home packages which are very helpful. We also believe Myla is very intelligent and her anger and frustrations are purely down to not being able to communicate. Myla attends the Elizabeth foundation one session a week and visits another nursery for children with special needs two mornings a week as they have a higher care ratio and use makaton throughout the session where ever they can. Those mornings just give us both a breather Myla gets to socialise and I get the shopping done etc. Thx so much for your reply and interest. It is so comforting to know that one is not alone with this ANSD diagnose. I must say that my mood is ever changing at the time being – shifting from being positive and keeping faith to disbelief and sadness. I think our biggest concern is whether or not Aaron will develop his ability to speak!? Right now we are applying for support from our local municipality and proper authorities, but boy is it frustrating to just sit and wait and having to argument, fight and shout like a mad man to get things going on. As we speak 2 months have gone by and nothing has happened yet – no help to sign or cued language, nothing! I drives you mad because I sense that Aaron is really becoming more and more frustrated with his situation, and yet he seems eager and mature to learn alternative ways of communication. Did you have major issues with Myla in terms of her being “hard to handle”. Aaron has always been a very energetic child – all over the place – having difficulties concentrating more than 30 seconds at the time, and having mood shifts from being in a good mood to being frustrated and crying a lot – and almost out of reach. It has really been tough. But as I wrote doctors here say that dealing with ANSD can manifest itself in ADHD or even mild autism symptoms. Have you face any of this with Myla? In childcare they describe him as having a lot of problems – having no friends (because he bites – as he has no other form of communication), dealing with personal defeats every day (because he knows he is different, but wants to be like everyone else) and having trouble being in a setting with too many children (properly due to him being frustrated by background noise I gather) etc. etc. I understand you have choosen to put Myla in special child care – at least some of the weekdays – has this made a difference in Myla’s behaviour and her anger/frustration? Do you sense this being the right way to go about it? Sorry for my ignorance, but what is “makaton”? At home Aaron is really a handful, but we believe he is a very loving child who is seeking a lot of comfort and security and really just wants to communicate but is not able to. We never taught him anything, but he is nodding his head “yes” and “no” and pointing at what he wants or coming to get us and bring us to whereever he wants to show us somehting. So naturally we just want to start him off with some kind of alternative communication, but we are in doubt about which form to choose and should you just start of without professionals being offered by the “system” yet? Thx again for your reply – it is so nice to be able to connect with parents dealing with this issue as well – no “outsider” really can comprehend what you have to deal with when facing ANSD. All the best and I hope you and your family had a nice Christmas and a happy new year. Hi Alex, Camila and Aaron! Would you like to e-mail me then I can answer all your questions as I feel my reply may be some long winded!! lol! It seems that Myla and Aaron have a lot in common, Myla is very hard to handle she hits out alot at anything if she is not understood. The last six months since she passed her ABR amazingly ?? have been incredibly difficult for the whole family hence we have now got Private specialists involved and will be visiting AVUK this month. It has been explained to us that Myla’s ABR could have been done on a good hearing day and the fact she has no acoustic reflxes points us back to ANSD. We also had a Private speech and laungage assessment which put her at 16mths old when she was actually 2yr 5mths they are also now looking for signs of dyspraxia but as you have already mentioned alot of these conditions appear to overlap. We were given the link to your page by our Teacher of the Deaf. It’s good to share experiences and learn more about this condition. I’ve found out more information through talking to parents over the last 6 years, than I have talking to professionals, which is why I’m so grateful for this site. Thank you for putting it together. My son James just had his 6th birthday before Christmas. He attends mainstream school and is thriving, although his language development isn’t fully formed, and his speech is sometimes confused, he is making great strides. We are very proud of him and what he’s acheived so far. James’ was 6 weeks prem, low birth weight delivered by Emergency C-Section, and suffered from a malrotated intestine as a result of which he was in SCBU for 7 weeks. His hearing problem wasn’t picked up until week 7, through Newborn Screening and that’s when the ‘fun’ began. He had an ABR from an early age (at 9 months, from memory!) and again at 2 years. We introduced signing from a young age, first “Sing & Sign” and then Makaton, progressing onto a mix of Makaton and BSL. He doesn’t sign so much now; only when he and we are finding it difficult to communicate to each other which is thankfully, infrequent. As all James hearing tests since birth have been consistent in their results, contrary to a fluctuating condition such as ANSD, we have asked for another ABR to be conducted which will help make the decision whether he has ANSD or not, or whether he has a speech delay/hearing problem. He is aided bi-laterally and this seems to be working. Grommets were inserted around his 4th birthday and subsequently fell out/removed although we’re still dealing with the aftermath of that. James has also been assessed for additional speech problems and also dyspraxia which have both been dis-proved. Wishing you all well with your amazing kids! So our journey begins. Our daughter Ella was diagnosed with ANSD in Feb. of this year. She was born 7.5 weeks early. As I began my internet search soon after, your blog was the first thing I ever saw. I cannot tell you enough how appreciative I am that you created this. Reading about Alice, whom without even knowing I am so very proud of, has given my wife and I wonderful information and comfort. I know we have a long road ahead and a lot of questions to answer. Thank you again for taking the time to create this blog and I hope to stay in touch in the future. I’m so glad Alice’s story is of help and comfort. Do feel free to drop me a line directly if you’d like to talk further – we have made many new friends through the blog. Congrats to you and your family, we are so very happy for you. He is beautiful! Thank you for taking the time to create this brilliant site and share your experiences with us. There is such a lack of information about ANSD / AN/AD and this site and the comments have been invaluable. It’s wonderful to read something written in a way us non-medical people can understand! My 5 month old son Lucian was diagnosed with Audio Neuropathy/Audio Dys-Synchrony when he was about 3 months old, having failed the ABR part of the newborn hearing test. He was diagnosed with AN/AD after a subsequent hearing test; the audiologist said he had never seen results like it! Multiple hearing tests later we are no closer to knowing what level of hearing he has, other than there is no response below 80db in the ABR test but OAE is normal, and at present doesn’t respond to any sounds. My son’s condition is most likely due to his premature birth (he was born 11 weeks early) and that his lungs were underdeveloped and so needed to be ventilated. He was in special care for 13 weeks and a few times we came close to losing him. He is still on continuous oxygen now due to Chronic Lung Disease, but this is decreasing in amount gradually. For this reason the audiologist and ENT are hopeful his hearing will improve over time, but we’re learning British Sign Language and researching our options in case this doesn’t happen. We’re very lucky that we’re getting a lot of support from our Teacher for the Deaf and the group that we go to for hearing impaired children. In every other respect though Lucian is developing normally for his corrected age and is a very funny, cheeky boy. He is very visual and very interested in what is going on around him. I know exactly what you mean about how difficult it is to keep your baby asleep during the first tests, especially when they’re as inquisitive as my boy is! Since they’ve had the same results every test they have now decided to wait until he’s 6 months corrected age (around October time) to do a behavioural hearing test. He doesn’t have to sleep for that one thankfully. We’re also waiting for an MRI scan with general anasthetic as Lucian refused to stay asleep at the last one and freaked out at the sight of the machine. Don’t blame him for that one though. So for now we wait and see, and keep an eye out for any signs of useful hearing. I am so lucky that he is alive and here with us with relatively few health issues, he has come through so much. Whatever happens we will accept and deal with it in the same way we’ve managed all his other problems. I am so proud of my brave little boy! Thank you so much for your heartfelt note and sorry it has taken so long to get back to you – we have been on holiday for a week or so. Lucian does indeed sound a wonderful and brave little boy – you must be very proud. We are working in conjunction with some specialists and the BBC to help raise wareness of ANSD – there will be a programme later this year on the BBC and some info provided by experts on this site very soon. I am so glad what we have done so far provides some comfort. I first came across your blog in early 2010, after my eldest daughter was born. She had an uneventful entrance into the world, but failed her OAE tests at birth. We had her retested at 5 months, and in addition, did the test to see if sound is transmitting to the brain. It was at that point that they diagnosed her with ANSD. The crazy thing is, she began talking/hearing normally, and we thought she was healed of this issue. Then a year ago, she suddenly couldn’t hear for one day. It only lasted that day, and her hearing came back. Then two months ago, it happened again. The Ear/Nose/Throat doctor told us he thought it was probably just behavioral and gave me that sense of “you’re being ridiculous, this is how kids are,” as if I didn’t know my own daughter. She lost her hearing again two days ago, and it hasn’t returned. We finally found some physicians that would help us, and they are thinking it is definitely ANSD. I am having such a hard time with it, but I’m trying to keep things normal for her. She is very confused I think, and talks to herself and occasionally yells (probably to figure out what’s going on with her ears). I’m just glad I happened upon this blog back in the day to know someone else is going through this. My hope is that God will lead us to find a way for her to hear again, so that she can listen to her favorite song again, and even moreso, hear my voice. I’m so glad our blog has helped you – do drop us a direct note of we can offer any thoughts and advice. hey I am really sorry for bothring you, but I need to ask you somethinh alice parents, you see my brother has a hearing losss and auditory neuropathy spectrum disorder, but there not certain, he is almost 6 years old, one day we were at the park and he was playing on the swing, but it made a faint sound, then my brother got off of it, telling me in his own way, becuse he sometimes uses sign language because he dose not speek that well, that he had to get off of it because of the sound , also he was not wearing his special headphones, my Question is can he really hear that faint voice even although he has ansd ? again I am sorry for bothring you. and my kisses and greetings to alice and oliver . JoJo – the trouble with ANSD is it is very difficult to tell what people can hear and when. Hearing can be completlely absent or can fluctuate wildly. Oliver seems to hear nothing at all whereas Alice would react to sound sometimes. The question is then whether the sound they hear is useful or not – is it just white noise or can they decipher complex sounds like speech? This is the main issue when deciding on whether to use an interventionary treatment like a CI. I hope this helps. how can a child with ANSD speek and develop language ? because one of the doctors that we saw told us that kids with ANSD never speek . I am really thankfull to you, I wish you and your family good. Jojo – that is simply not true. Some ANSD children develop normal speech and, in exceptional circumstances, may not ever even be detected. Some will develop no speech at all as they can’t decipher the speech signals. The majority are somewhere in between. If your doctor is telling you that, I would seriously seek a second opinion; it is neither truthful nor helpful. It may well be that in your case no speech will develop, but to assert that without proper testing is just plain wrong. thank you so much. I am afraid I am going to bother you this one last time, you see my little brother did not have a Specialist Speech until very later, and now he is six years old, he can speek though, but only little. he recognize his own name, and all our familys names, also he can speek some verbs. thats why that doctor told us that since he only speeks little, and that also he has ANSD , he should learn sign language. my request to you if you could please give me the name of the hospital that you went to, and the name of alices doctor, so that we could have our second opinion there. I thank you so so much for your kind and generous help. Jojo are you in the UK? All Alice’s doctors are written about on the blog. That said, I’m sure we can recommend or get a recommendation for you in your home country. Where are you? There is a lot of knowledge about ANSD In Jordan – there have been a number of the experts who have helped us who have been teaching over there recently. I’d happily put you in touch if that would help. Thanks a lot, but we would like to come to the UK instead , to St George , kus we already have been to Jordan . So we thought going to St George would be a good idea don’t you think ? , also do you think that my brother could talk better in the future even though he only speaks little ? JoJo, I really can’t answer that. All I can say is have hope and work hard. Never take no for an answer and never give up. That is why we have got where we are today. Alice is treated through the NHS at St George’s so I have no idea how you would gain access to the care she has had. Thanks for sharing with us an informative site. I love reading your blog posts. I am a mom of an adorable daughter who happens to deaf. We (my husband and I) also created a website http://www.Decibelsofhope.com, a diary of parents raising deaf and hard of hearing kids. We believe that as parents, we play a big role in helping our kids reach their dreams. We realized that it is not easy though, so we created an online support and informative site. Your blog is very inspiring. We will be subscribing to your posts and we would like to share this with other parents in our site too. Thank you for your support and for sharing you blog with us – we will be sure to follow you too. hallo chris, my little brother is 5 years old he has a profound hearing loss and also ANSD. so we well be coming to the U.S for care and help. could you please recommend a good hospital or clinic ? my good wishes to your beautiful family . oh and, on one of your posts you said that your not a strong person, but that’s not true at all. if anything you have a strong heart that could carry all off your family . alright then, no I don’t but I will make an account today. alright I send the request, I am happy to come along. yeah we are from Saudi but, how did you know ? I am goofy when it comes to the computers. hallo its me again how are you and how is your family ? I have a question to ask, is it true that the cure for ANSD is cochlear implant ? There is no cure for ANSD or any other form of deafness for that matter. Whatever happens from here, your brother will always be deaf, as Alice and Oliver are. That said, the outcomes with CIs for some AnSD children can be fantastic as the implant bypasses the site if the lesion. Some children do really well with hearing aids and don’t need to go for CIs. Proper testing is the best way to assess your options and any of the centres in the US that have been recommended to you will be able to help you with your decisions. thanks for inviting to the facebook group, I have been given five places to go the US . so thank you so much for the invite . Hi, thank you so much for your site. We are in the US, California to be exact. My 7 week old was just diagnosed with ANSD. We are scared to death by what this means for him and our family. It’s like our world has been flipped upside down. It’s wonderful being able to know that there are children that are reaching milestone and functioning with normal children. I wish you were closer so I could sit down and pick your brain. Ashley I’m glad you found our little blog and I hope it helps put your mind at rest that it will all be ok. I remember that feeling of our world being turned upside down as well. Come along to the Facebook group and you’ll find loads of friendly faces there and possibly some local ones. Feel free to email me at any time as well. Would you be able to invite me to that group as well? I have been following the page. I had a comment I wanted to share about my daughter who has ANSD that might be helpful to someone. Hi Steph and thanks for your comment. You’ll need to ask to join and then I can accept the request. Just follow the FB link. The link on the front page (contact us) is my work email address. Hai Chris merry Christmas to you and to your family . I hope you are all doing well . I have a question please can you help me with it ? My little brother has a hearing loss And ANSD . I want to understand if my can hear music like I do ? I know my question sounds stupid but I want to know . With the ANSD can he hear the music like I do ? And what about the children who has CI. Because he has a hearing aids . I am sorry it’s just that every now and then I wonder about that . I wanted to go online or to ask the doctors but I was just afraid from the answer. I know that I will never know how it’s like for him . Even if I tried . I care allot about him and music is important to me . So sorry for the long message . thanks so much chris . I have sent you an email but please enjoy your holiday with your family and replay whenever you have time for it . My name is Cristiane and I’m from Brazil. My son, Miguel, has a severe hearing loss and also ANSD. We, my husband and I, found out when he was 11 months old and since than he is using hearing aid, now we decided to take the CI path, he currently has 2 years 5 months old. I would like to ask you some questions about Alice before CI. Does she babbled just vowels or consonants as well? Does she spoke a word? Your website has been an inspiration for me and your family history gave me hope. Thank you for share with us. 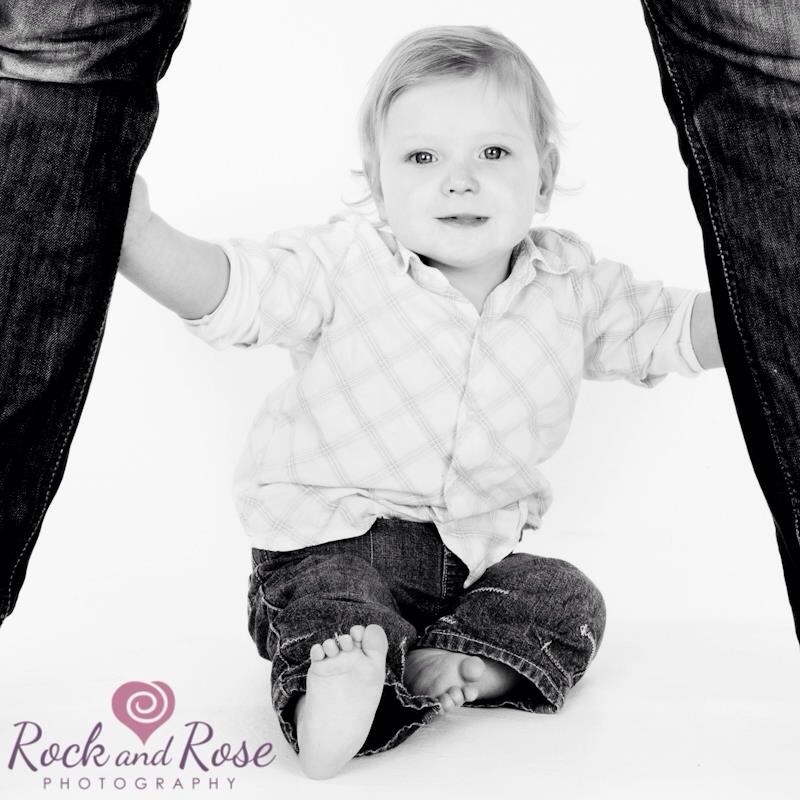 Alice had no spoken language at all before her CI (at age 2). We picked up her hearing loss late on and only because she hadn’t started to babble and speak. Ollie had a little bit of babble before he was implanted, but then he was done so early so as not to have been an issue. Certainly neither of them had enough language for us to have been able to distinguish consonants and vowels. Thank you so much for your quickly reply. I have another question for you.. Did Alice fail in her OEA test before her first CI? No, she didn’t, although it’s not unusual for ANSD children to lose their OAEs over time. You see we are from Saudi and we just don’t know any other family like us . So if you happen to know any Saudi familyes there in the UK , would you please let me contact them ? It would make things different if we knew somebody . Ruby, are you the same person who was posting on here under the name ‘Shinee’ last year? I’ve been really p.eased to find this blog. I was told my son had ANSD a couple of weeks ago. He was born at 33 weeks extremely ill and has had a tough start to life. He failed his newborn screening at 7 weeks (actual) and his ABS was done at about 13 weeks (actual). What I’m finding really confusing is the debate about whether to aid him or not. The professionals I have met are really great but they disagree on this point and I don’t know what to do so that I do the best for my child. Chris, if I could hear your experiences on this, I’d be most grateful. Thank you for putting Alice’s and Oliver’s story out there to inspire us parents. Our child has just been diagnosed with hearing loss and we are looking into implants. The doctor said that if the child has been implanted at a young age. minimal therapy is required. Do you have any info or opinion about this to share. It’s been tough and knowing we are not alone in this journey really helps alot. Thank you. Thanks for connecting. The earlier children are implanted, the better the outcomes in terms of speech and language development (less time with missed opportunity, increased elasticity of brain at younger age etc.). I would never want to count on ‘minimal therapy’ being all that was required, no matter how early your child was implanted. Ollie was implanted and switched-on on his first birthday, is performing fantastically well, but still goes to AVT every two weeks and, most probably, will until he is three. Rather too much than too little as you will never get the opportunity again…. This blog website is so inspiring!! My son is 2 years old and diagnosed with profound ANSD on the right and mild on the left. I was wondering if you could tell me more about behaviors of children with ANSD. My son is very to himself and had some sensory processing issues. Did either of your children struggle in social settings or with sensory processing? The stories are inspiring, particularly Alice’s as my son was diagnosed with profound hearing loss 2 weeks ago at 15 months old. We have been recommended to see David Selvadurai and also auditory verbal uk and was wondering if it was at all possible to chat over the phone with you about your experiences. My wife and I have been in a whirlwind since 2 weeks. Im originall from Devon, Uk and currently reside in China. we are flying back to Uk tomorrow monday 19th may , and will stay permanently. Hello, I have just stumbled across this website. What amazing and beautiful children you have. I’m not even sure if this website is still regularly monitored. I write asking for any advice you have. I am kind of at my wits end and would love to hear from someone with some knowledge of this problem. I only heard about in on Saturday after a private pediatrition mentioned it. I have been on waiting lists for speech therapy and to see a community pediatrition with no luck as yet, so I paid privately. my daughter is two and non verbal babbles but doesn’t respond well to commands. She has glue ear in both ears. She had a hearing test at 18 months which came back as normal I believe. It was a visual one and I couldn’t really see how it worked as she just kept looking at the box regardless of noise. Due to these reason they are referring her in with suspected autism. Thats all welland fine, but I just wondered what symptomes children Had with this. How do you push for further testing. She has missed her milestones she doesn’t point well and doesn’trespond wel to her name. She isn’t startled at all by loud noises. She has had many ear infections. Any any information would be greatly appreciated. Thank you in advance. Drop me an email through the contact us part of the site.